Orquesta el Macabeo make their much anticipated return to the Elm City, but this time we are in the State House where we belong! 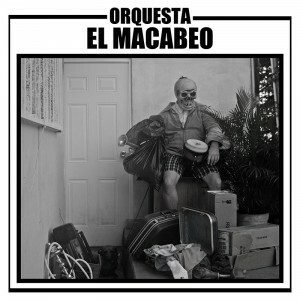 From the bio: One of the great sensations of the current Puerto Rican salsa scene, Orquesta el Macabeo recovers the island’s salsa tradition to update it with new ideas and the energy of its eleven musicians, with backgrounds in punk rock, ska and reggae. Formed in 2008, with almost 10 years playing all over the world, they present us with their 4th studio album: La Maldicion del timbal or “The curse of the timbal”. Their plan: revindicate the true heavy heavy sound of the “Salsa Gorda” with its sound and lyrics that tell stories about real life with which anyone can relate.